In the land of the three suns – the one shining bright at the blue sky, the so-called second sun reflecting on Lake Geneva, or Lac Leman to the locals, and the third reflecting from the snow on the mountain peaks in the background – beautiful belle epoque builds stand the test of time through the Vaud region. Most of these establishments have been renovated, maintaining their whimsical charm of the olden days with exquisite ballrooms – close your eyes and you can imagine the cronilines twirling the lacquered parquet floors underneath the twinkling of crystal chandeliers- wide corridors and hand-painted walls and ceilings, lake view rooms and graceful dining rooms yet updated with the grand allure of today’s traveller. 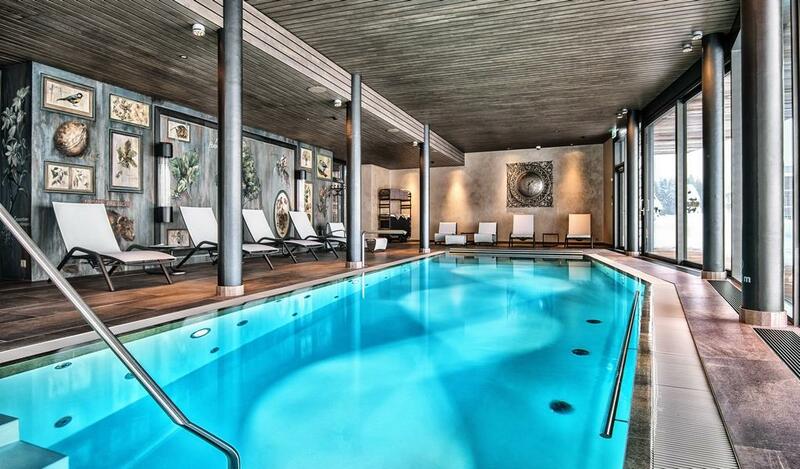 Vaud, the region along the northern side of Lake Geneva, offers the finest of life with Michelin star restaurants, five star hotels and a list of cultural outings as long as a similar line up of sports possibilities – indoors and outdoors. 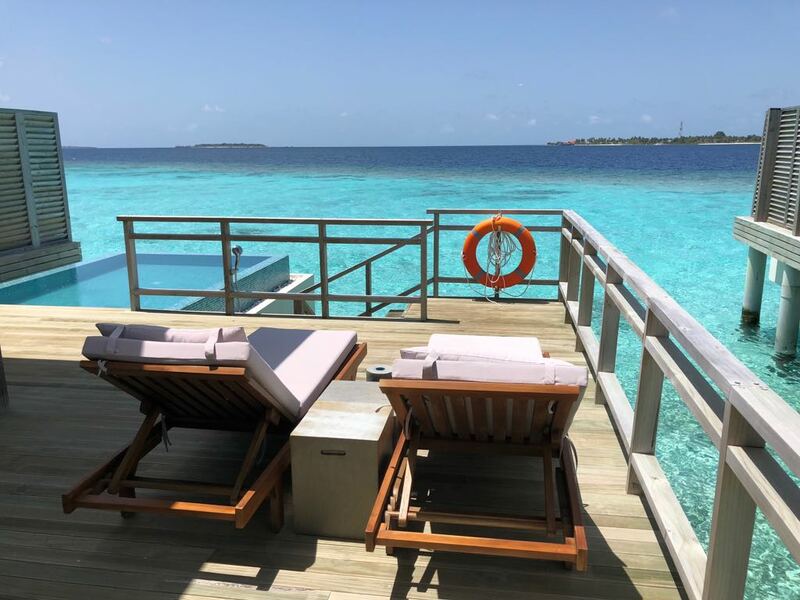 It is here, where on the lakefront the beautiful era is set in stone, sunny verandas, handcrafted woodwork and marble floors – the belle epoque palace hotels. The Lausanne Palace is the grand dame of Lausanne hotels situated near the old town, across from boutique shopping (watch workshops, chocolatiers and fashion boutiques) and nearby cosy tearooms. 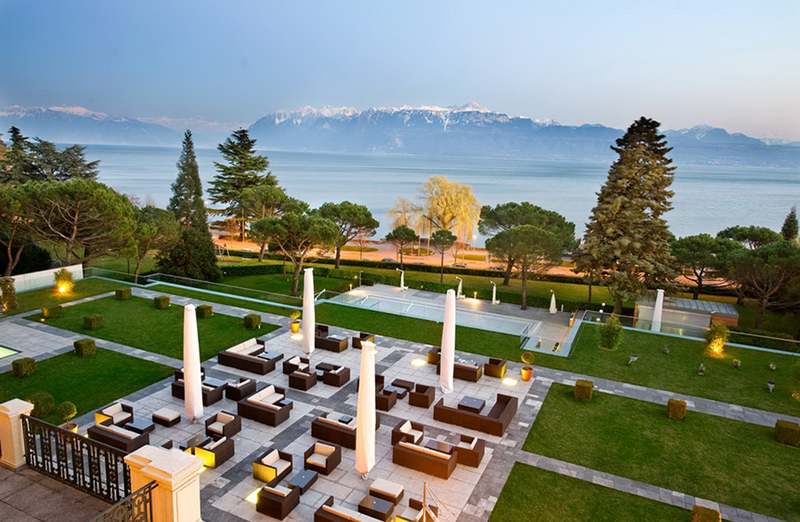 This charming palace hotel with views of the crystal clear lake in the distance offers a Bel Air class entrance in the centre of Lausanne. Six pillars of majestic grandeur welcome us before we head inside through the characteristic wooden with detailed glass revolving door entering the central lobby. Left and right the concierge and check-in desk create a lively welcome with guests arriving and leaving, doormen handling suitcases, umbrellas and coats. In the midst of the lobby a cafe calms the senses by offering herbal teas and fine coffee blends, even a glass of bubbly can be ordered in the midst of the dome shaped lobby, to make the guests feel welcome. And we surely do. With its location on the edge of the old town and in the distance the Alps, this beauty of a belle epoque palace hotel offers city and lake views. The most stunning of suites have detailed balconies highlighting the wonders of mother nature in the distance. 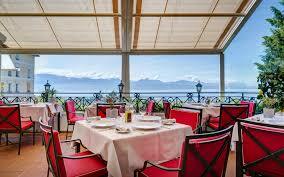 The Coco Chanel suite, where once the chic lady resided, offers views over Lake Geneva as far as the eyes could see. The soft hues of beige and blues create a calming atmosphere in the 170m2 suite. There is no way, the suite could not offer a dressing room fit for a lady and a lush bath in the elegant marble bathroom en suite and thus the suite offers both as well as a dining area and sitting room by the fireplace and a well kept vanity by the french doors to the bedroom balcony, all surrounded by the most divine city and lake views. The hotel offers an array of fine dining, from sushi to a charming Paris-like brasserie, with leather, wood and copper decor. The typical brasserie fare includes such classics as steak tartare, foie gras and meunière perch fillets. The lavish shellfish array, available from October to April, is simply outstanding. 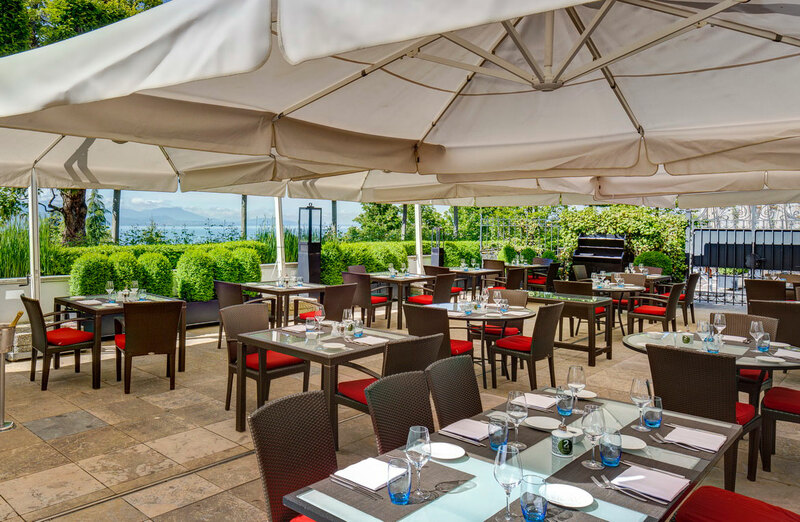 The Garden room offers a place for good Italian meals and the Michelin-starred restaurant La Table d’ Edgard presents Chef Edgard Bovier’s gourmet interpretation of Southern French cuisine. The chic dining room features two terraces and panoramic lake views, as well as a unique set of interior windows that allow guests such as ourselves to observe the action in the kitchen. The views are just as mouthwatering as the dishes appearing on our table and the cosy atmosphere is a testimony to the hospitality of the Swiss. We enjoy a delightful lunch, after which we head into town. When arriving back at the hotel the brasserie is pure bliss for a late snack, whilst we revisit the day amongst business people, travellers and stylish couples enjoying each other’s company at the end of the day, whilst the sunlight dims in this land of the three suns. Hi, we're the Hamdan sisters! Sara is a professional travel writer whose work has appeared in the NY Times, CNN Travel, Stylist and Harper's Bazaar. Lulu works in healthcare marketing and loves all things nutrition and fitness. The sisters run this blog to share a love of beautiful hotels that make life a little extraordinary for a day or two. Who doesn't love chocolates on their pillows?